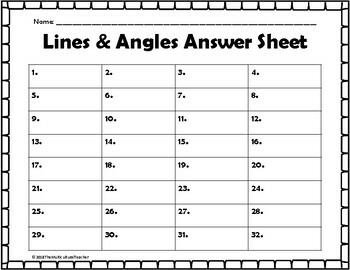 The Lines and Angles Task Cards are a great activity to use for review, math centers, or as part of a lesson. 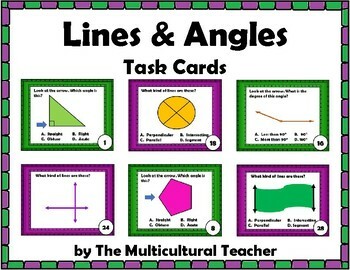 There are 32 task cards included (16 task cards for angles and 16 task cards for lines). There are recording sheets for lines and angles together as well as separate and an answer key. 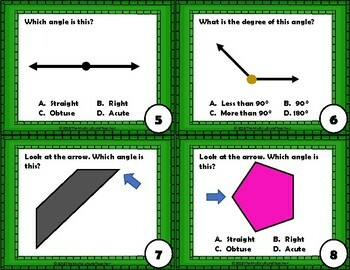 The angles include straight, obtuse, acute, and right angles as well as basic information about their degrees. 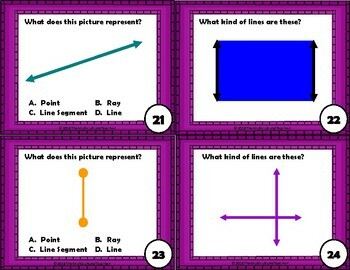 The line task cards include point, ray, line segment, line, perpendicular lines, parallel lines, and intersecting lines. The cards are both multiple choice and open response. My students love these and yours will too!